Global warming: the great equaliser | Growth is Madness! Administrator’s note: It’s increasingly obvious that despite the gravity of the global ecological crisis, few governments are undertaking anything approaching the actions that might prevent catastrophe. In this article, Adam Parsons makes clear the gap between the form and level of economic change needed to address climate change and the reality of the inaction we see today. Yet he sounds a hopeful note in observing the potential for global warming to become the issue which finally prompts a new examination and restructuring of the global, market based economic system. As the latest summit to discuss a post-Kyoto treaty continues in New York this week, the single most revealing statement has already been spoken: “We need to climate-proof economic growth”. These few words, told to reporters by the UN’s top climate official, Yvo de Boer, during the recent Vienna round of talks, define the blinded establishment approach to tackling climate change. Only if continued trade liberalisation and corporate profits are kept sacrosanct, remains the assumption, is it possible to consider even a broad agreement on future cuts in greenhouse-gas emissions. With dire weather events and studies being reported on an almost daily basis, fewer sceptics are able to dismiss the reality of dangerous climate change. In the same week as around 1,000 diplomats, scientists, business leaders and environmental activists from 158 countries attended the U.N.’s Vienna Climate Change Talks, a top security think-tank stated that climate change could have global security implications “on a par with nuclear war unless urgent action is taken”, whilst leading scientists warned of a looming “global food crisis” that will require more food to be produced over the next 50 years than has been produced during the past 10,000 years combined. The rapidity of these dystopian predictions has grown to Faustian proportions; the year 2007 already has the dubious accolade of witnessing the most extreme weather events on record, as characterised by the millions of Africans just hit by some of the worst floods in a generation in which villagers were “wiped off the map”. This summer, the collapse of the Arctic ice cap (losing a third of its ice since measurements began 30 years ago and “stunning” experts) was topped off by the latest UN study from the Intergovernmental Panel on Climate Change (IPCC) who now believe that the tipping point for widespread catastrophe – involving a two degrees rise in global temperatures – is “very unlikely” to be avoided. Common sense would presume that the resulting questions for policymakers, long since removed from a debate on man’s culpability, must inevitably focus on how to achieve a wholesale reorganisation of society to drastically decrease fossil fuel use, curb excessive consumption, and reform the global economic framework to ensure that all countries can live sustainably within ecological limits. The collective government response to date, however, makes it seem like the countless thousands of lives being destroyed by flash floods, famines and desertification are living in a parallel world to the business-as-usual dealings of multinational corporations. The stalemate reached during the Vienna talks reiterates the ongoing blindness to climate change reality demonstrated by government leaders. China, which continues to open up two coal-fired power plants a week, refuses to cut emissions if it means sacrificing economic growth, compared with the US senior climate negotiator who said that the E.U.’s goal of slashing emissions to half of 1990 levels by 2050 would “be a very tough target to meet” – even though the IPCC determine that an 80 percent reduction in ‘global’ greenhouse-gas emissions is needed before 2050. 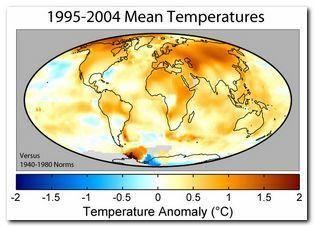 At the same time as Japan, Switzerland, New Zealand, Canada and Russia all argued that the level of emissions cuts required should “be kept open”, a Worldwatch Institute report was released that showed more wood was removed from forests in 2005 than ever before, more steel and aluminium was produced in 2006 than in previous world records, and inconceivable billions of tonnes of fossil fuels and oil are increasingly being consumed. The more urgent and fundamental question, therefore, is what factors continue to drive this one way ticket towards ecological disaster, and what social measures really need to be taken if cataclysmic global warming is to be forestalled? The framing of this basic enquiry into environmental sustainability can be traced back to a report published in 1972 that forecast the imminent collapse of life on earth and resulted in an outrage amongst economic thinkers. Limits to Growth, written by leading scientists from the then unknown Club of Rome, used crude mathematical models to project future resource depletion that have long since been discredited, even if it’s essential repudiation of the modern belief in economic growth as “a kind of law of nature” is more relevant today than when it was first published. The observational problem, outlined the report, is that the planet has limited resources and a finite carrying capacity, while the demands placed on it by a growth-dependent economy and the grossly materialistic lifestyles it engenders are insatiable. For this reason, the belief that free trade will lead “to a natural order of things” is catastrophically mistaken, it argued, as there are in fact “no laws of economic ordination” because economics “is not really a science but a set of theories,” and because the ‘Invisible Hand’ of the market does not actually exist. This challenge to orthodox thinking on development was further underlined by the respected economist E. F. Schumacher who penned the classic discourse, Small is Beautiful, a year later in 1973. As the world economy began to reel from oil price shocks, Schumacher’s eloquent and prophetic writings scorned the materialist assumption that ‘growth is good’ and ‘bigger is better’, and instead argued that natural resources like fossil fuels should not be treated as expendable ‘income’ but rather as capital owing to their non-renewability and eventual depletion. These questions of ‘green’ or ‘ecological economics’ may not be anything new, as furthered by other important studies contradicting the blind reliance on economic growth such as For the Common Good (1989) by Daly and Cobb, but the sheer simplicity and common sense of the sustainability conundrum demands constant repetition. The established economic system steadfastly refuses to acknowledge planetary limits, flatly ignores the inevitability of an eventual end to the growth cycle, and fails to recognise that a system based on the amoral concerns of resource allocation has created a world of such unimaginable inequalities that millions of people over-consume to the point of obesity, whilst millions of others are left to die without access to adequate food. Government leaders, far from contemplating the prognostic warnings of Limits to Growth, have charged in the opposite direction by unleashing a “veritable crusade of economic expansionism” with the prevailing neo-liberal policies followed since the 1980s. The result is a contradiction at the heart of the market economy that literally threatens human life; by maximising trade for its own sake, without questioning the greenhouse-gas emissions brought about by the phenomenal rise in transport that free trade demands, we are placed on a collision course with the limits of social and environmental tolerance. As set out in a report by the New Economics Foundation during the early years of the Kyoto Protocol, the simple logic of growth and trade liberalisation conflicts with attempts to control climate change. At a time when leading scientists estimated that a 90 percent cut in greenhouse-gas emissions is required from the rich nations by 2030, international trade was forecasted to grow exponentially by 70 percent during the period of the Kyoto Protocol until 2012, yet the agreement failed to include any emissions from freight in its ‘right to pollute’ measures of cap-and-trade. According to recent studies, CO2 emissions from shipping – which are twice as much as airlines and not even covered by the Kyoto accord – are not only far higher than previously thought, but could rise by as much as 75 percent in the next 15 to 20 years if world trade continues to grow and no action is taken. This ‘blind spot’ about freight, argued the NEF report, has led to a double failure; firstly in appreciating the real environmental impacts of rising freight movements, and secondly in the failure to remotely introduce the necessary policies to shift freight onto a sustainable path. When the World Bank published a report in 2000 called The Quality of Growth, nowhere did they explain how ‘clean growth’ could be achieved globally while simultaneously reducing greenhouse-gas emissions by the drastic amount recommended by the IPCC. It constitutes an underlying conflict of interest that has yet to be debated at the highest levels of government, let alone resolved; do we prioritise the relentless opening of a country’s borders to international competition and the unrestrained movement of goods and services, or do we cooperatively manage the global economy to reduce greenhouse-gas emissions? According to the logic of neo-liberal economics, it is perfectly acceptable for thousands of lorries and ships to be ‘passing in the night’, carrying almost identical goods or with produce that could be produced locally, without consideration of the environmental impact of needlessly burning fuel. The UK, to give a small example, exports one-and-a-half thousand tonnes of fresh potatoes to Germany each year, and imports practically the same amount from the same country, a practice of ecologically wasteful trade that is not only repeated with every material product made, but is endlessly encouraged by the values of a purely capitalistic financial system. The predominant market-based approaches to tackling climate change, not least the carbon cap-and-trade schemes endorsed by the Kyoto Protocol, are equally a part of the central problem owing to their implicit approval of unlimited economic expansion. As argued extensively by alternative and green economists, it is markets that “got us into this crisis in the first place” and now it is markets, somewhat sardonically, that are touted as the only solution, as reflected in the conclusion of the Stern Review that climate change is the “greatest market failure the world has seen”. Free-market proposals like carbon-trading, advocated by a growing list of prominent economists, high-profile politicians and ‘green NGOs’ (including Sir Nicholas Stern, World Bank chief economist Larry Summers, Governors Arnold Schwarzenegger, Bill Richardson, Eliot Spitzer, and not least Bill Clinton and Al Gore who both quipped that “the invisible hand has a green thumb”) are not only deficient measures that give the illusion that suitable action is being taken, but are also prolonging the environmental crisis by creating new market opportunities for corporate profits and by delaying investment into renewable energies. The clearly sane response to the emergency of global warming is for all developed nations to considerably reduce their levels of consumption, but this platitude will remain a fantasy until the inherent inequities of the world economy are first addressed. Only then, coupled with an international acceptance of the need to drastically limit the quantity of fossil fuels being extracted and burnt from the earth, can a workable framework for climate change mitigation be meaningfully discussed. It is possible to feel an acute sense of foreboding when comparing the basic threats of global warming with government inertia and denial, but climate change as the “moral question of the 21st century” also holds the potential to initiate global justice on a scale never seen throughout history. This is best illustrated through a key concept promoted by many environmental campaigners as a guide for agreeing a solution to CO2 emissions: carbon debt. If the wealthiest countries first acknowledge that their unequal use of the global commons has run up an enormous and unpaid ecological ‘debt’ to the world, runs the argument, then the stage is set for a new kind of dialogue between rich and poor countries. Any future negotiations on emissions reductions or the sharing of reductions, therefore, must also focus on just recompense for the damage already done to the atmosphere. A consensus of environmentalists now propose that the only acceptable solution to redressing CO2 emissions must be equity-based, thereby conceding “each individual’s logical claim to the atmosphere”. The proposed mechanism of ‘contraction and convergence’, as formulated by the Global Commons Institute, incorporates these principles by first establishing how much carbon dioxide can be produced each year within a safe limit, then basically dividing that sum between each individual in the world. On a set date, all nations would ‘converge’ to an agreed level of emissions. This straightforward concept, which is already approved by the European Parliament and key government spokesman in Africa, India and China, embodies more than just equal rights to the atmosphere for every citizen. The implementation of contraction and convergence, based upon an international acceptance of ecological limits, would necessitate a sustainable world economy, an enforced reduction in consumption levels by the wealthiest nations, and hence a vast redistribution of resource usage between nations. If contraction and convergence can be imagined as a potential model for future world development as a whole, it could also lead to a greater emphasis on sharing through a reformed economic system that prioritises sustainability and basic human needs. The large-scale implications for global justice would be immense and all-encompassing, reflected in a necessary reorientation of the values and driving forces behind the economy. Rather than the blind pursuit of maximum instant gratification and profit, the underlying priorities governing social development would need to focus on the collective desire for human survival, an end to poverty and gross inequality between countries, and the beginning of an international culture defined by cooperation and the shared purpose of averting mass catastrophe. In the present political climate such a vision might seem like abstract idealism, but if the alarming forecasts of the IPCC come anywhere near to fruition with the exposure of hundreds of millions to drought, hunger and flooding, then “the biggest economic and geo-political realignment of recent history” will soon be unavoidable. Two optimistic examples can be cited of how capable man is at change and adaption, firstly in a study of the Second World War economy in which England radically simplified its lifestyles and reduced its consumption of resources, and in which America turned around its economy “on a dime” upon entering the war in 1941. More than three decades after E. F. Schumacher penned his famous treatise, the global obsession with economic growth has stretched the limits of natural resources to the point of imminent exhaustion, an empirical conclusion that requires no further study or mathematical modelling to confirm. The neglected policy debate on ecological limits, increasingly obfuscated by the complex arguments over CO2 emissions, is unable to call out the elephant of unsustainable lifestyles without challenging the very premise of an economic system built upon endless consumption and competition over scarce resources. The only enduring cause for hope, despite the continued antipathy of the international community in questioning the systemic causes of global warming, is for climate change to become the world’s greatest equaliser by forcing an admission of the failure of globalised market forces. 11 Wouter Van Dieren. Taking nature into account: A report to the Club of Rome – Introduction (Springer-Verlag New York Inc., June 1995) p. 3. 13 E. F. Schumacher. Small is beautiful: A study of economics as if people mattered (Blond & Briggs, Great Britain, 1973) p. 246. 15 Quote from Wouter Van Dieren, ibid. 22 Andrew Simms. “Collision course: free trade’s free ride on the global climate” (New Economics Foundation, November 2000) p. 5. 31 Andrew Simms. An environmental war economy: The lessons of ecological debt and global warming (New Economics Foundation, July 2001) p. 2. This entry was posted in Adam Parsons, Climate change, Consumption, Ecological economics, Ecology, Economics, Environment, Global warming, Globalization, Per capita consumption, Sustainability. Bookmark the permalink. Did you hear about the latest NASA study on the disappearing Arctic ice? Now they are saying it’s because of strange wind patterns. They say it might not have anything at all to do with global warming and they are taking another look at their climate models because they aren’t working like they expected. What do you think of that? NASA did not state that that disappearance of arctic sea ice had nothing to do with global warming. They stated that anomalous wind patterns was one of the reasons the loss in the last few years has been so severe. The root cause is rising temperature in the arctic. Also, it’s not the “climate models” that this casts doubt on, it’s models *of sea ice*. The record-setting minimum of arctic sea ice is just the culmination of a trend which has existed for decades. And the long-term data on sea ice for both hemispheres, is powerful evidence of global warming. You might find this of interest re: climate change. Why don’t you spell out your point? Then, if it’s of interest, I and others might read the links. Take it there or to a good climate change blog (try here or Tamino who commented above.). I’m sure they’d be happy to humor your denialism astounding finding 😯 in contradiction of the overwhelming scientific consensus on climate change. Seriously, climate denialists/”skeptics” have a truckload of little bits and pieces of cherry picked data to toss about. A legitimate climate scientist can put them into the proper perspective. I’m across realclimate.org. They don’t mention the raw data at all. Not sure how it can be considered cherry picked but thanks anyways. Quick follow-up on the “data” Ben presented above. Had a moment to google and it seems the author, David Archibald, is a known climate crackpot whose one or two papers are evidently riddled with fatal errors. But again, on these sorts of things ask a climate scientist. I don’t want to waste a lot of time tracking down likely bogus stuff. You have extended to me a very dangerous invitation tonight – to speak to a gathering of political conservatives on the day that Al Gore has received the Nobel Peace Prize for discovering that the earth’s climate is changing. I’ve heard that he’s going to contribute half of his prize money to environmental causes and use the other half to pay his electricity bill. And anything left over will come in handy to help pay for the fleet of private jets that allow him to travel around the world to tell us that you and I need to ride our bikes to work. Please tell us which specific Limits to Growth depletion projections have been “discredited”, or are you just unthinkingly repeating the ‘conventional wisdom’? I raised an eyebrow at that too. He may be referring to the earliest edition, things they later revised. Not sure. BERLIN: Climate change is a growing threat to world peace and has led to rival territorial claims in the Arctic that could turn into a cold war, Foreign Minister Frank-Walter Steinmeier of Germany said Tuesday. For more than 30 years population biologists, ecologists and environmentalists have been trying to alert our political leaders to the potentially pernicious effects of global warming. In the face of these many entreaties, the managers of the global economy and their bought-and-paid-for politicians and minions have resolutely assured us that we have nothing to worry about and, consequently, there is nothing for us to except continue to grow the global economy. All will be well, they said adamantly and relentlessly, by pursuing this path and, under no circumstances, could this path be a primrose path leading our children toward a calamity. Now the same people who have been saying that we have nothing to worry about and, therefore, nothing to do because global warming is a hoax are now grudingly acknowledging that, yes indeed, we do have a BIG problem. Global warming is real. Global warming is not junk science. But guess what they are saying now. Here it is: the challenges posed by global warming are now too big to address and, as a result, there is nothing for us to do except accelerate economic globalization. Along the way, we will hope for a “technolgical fix” for the disaster that could befall humanity later in Century XXI as the global economy expands beyond the point it can be sustained by the limited resources and frangible ecosystem services of Earth. Now I ask you, what is wrong with this picture? Are too many of our current leaders hiding the truth of global warming as well as “poisoning the well” of public discourse? Too many of our politicians, economists, big-business execs and the talking heads in the mass media are all “whistling the same tune.” What is even worse is the way they entice appointees and surrogates to whistle that same tune, too. After all, who can resist offerings of great wealth, power and privileges that accrue to those who go along with what is political convenient, economically expedient, religiously tolerated and socially agreeable. Not only are too many leaders hiding the truth, they are also actively poisoning the well of public discourse in the process. And for what? Evermore power, wealth and privileges for themselves and their minions so they can carefreely play out the “conspicuous consumption fantasies” of their “Me Generation” by living long, living large and living unsustainably, come what may, having forsaken the future of their children and forgotten how human life depends upon Earth’s limited resources and frangible ecosystem services for its very existence. * Between 75 million and 250 million people in Africa could suffer water shortages by 2020; in Asia, heavily-populated “mega-deltas” are at greatly increased risk of flooding; tropical forest in eastern Amazonia will turn to savannah by mid-century…………………..
With the establishment of the scientific consensus on climate change, is it reasonable and sensible to ask of government officials who remain obstructive and in denial of this overwhelming evidence if they are perfidiously engaged in a violation of public trust and, therefore, malfeasant in office? I spent my morning reading the latest IPCC report, Steve, and was pleased that they were as outspoken as they were. And I think your take on how to address our government officials — and all political candidates — is spot on. – Yvo de Boer, UNFCCC Executive Secretary, shortlist a series of reasons for climate change concern; the threat to economic growth being first up. “[Environment ministers from the EU’s 27 member states] approved, on 30 October, a resolution on climate change that confirms the Union’s hopes that international climate talks in Bali from 3-14 December will lead to commitments from all developed countries to cut their greenhouse gas emissions by 30% by 2020, compared to 1990 levels. – Kevin Watkins, lead author of The United Nations’ new Human Development Report (who also has the courage to say a thing or two about third world population explosion). “The two economic giants [China and India] are becoming increasingly aware of the effects of rising temperatures. But though they are among the biggest contributors to the problem, both say they will not sign any climate change treaty that would slow the pace of their development. Meanwhile, the United States, which has pumped more carbon into the atmosphere over time than any other country, says it will continue to oppose mandatory reductions in greenhouse gas emissions, especially if China and India refuse to budge. “An international agreement that would really combat global warming would first have to shed the illusion that “market mechanisms” can be the primary driver of change. With this goal in mind, many grassroots organisations from around the world will be attending the Bali talks to demand strong action on climate change. “Gayoom [President of The Maldives] says it is unfair to expect the world’s industrialised nations, such as the United States, to shoulder the burden of climate change alone, saying developing countries Brazil, India and China are also big greenhouse gas emitters. December’s climate change meeting in Bali will be crunch time. Did I ever mention that humanity is very poorly organized? Humanity may well be the greatest of all challenges, but I dare say the international economic, political and diplomatic beaurocracy has a most spectacular role to play around here. “Although shark is no common household name, this is fast becoming a popular dish. Thanks for those links Magne. Lot’s of interesting reading and much food (including shark! 😯 ) for thought. With my previous couple of comments here, I’ve tried to illustrate the international diplomatic drama that is taking place at the Climate Change Conference in Bali, right now. Oh yes. Money and authority has its own way of talking. All these climate change diplomats, who are all at work for the continuation of industrial, financial and military status quo, are certainly going to sell the further negotiations of the next climate agreement as a huge step in the right and commendable direction. No doubt. I don’t know exactly what will be the spiritual or mental result of the UN’s Climate Conference in Bali, but I will not be too amazed at witnessing a civilizational shift of a somewhat bizarre type; a universal social / cultural appreciation of the apparent fact that honest industrialism, coupled with not-so-honest globalized capitalism, is the modern way of life; so take it or leave it. — The solid scientific fact that any description of this civilization is incomplete without notice of most unfortunate sideeffects, such as global warming, manmade climate change, and mass extinction of species, is of no bearing to any argument what-so-ever, because all ecosystems destruction are tragic but unavoidable facts of modern human nature. On a positive note, I can only believe that plenty of humans are ready to face the above worst case scenario of species insanity, and work to oppose the tendency of knowing destruction of all basic life support systems of this planet. On a positive note, I do believe that most people aren’t plain stupid. Those of us who feel reasonably informed about the various forms of ecological degradation this planet is going through, are soon going to have to accept that humanity is knowingly and willingly going to continue to just let this happen. Because bad habits are difficult to lay off. — And the policy makers of this world are not willing to take any kind of respunsibility for the sorry going-ons out here; mainly for economic reasons. Yes. I admit it. Sorry all. I’m frustrated here. It is the unacceptable truth. I’ve finally gone crazy. I believe this must be a permanent condition. Just lose it. In Bali: a fine restaurant: an eatery with yellow curtains, and swordfish soup, shark fin soup, and turtle soup on the menu. Served hot. As always. Uh. Thinking about these naysaying politicians. These credit card flashing diplomats. These tongue-in-cheek climate scientists. And all those smiling faces. Let it be, and just lose it. Drawing the battle lines, I suppose. A final international agreement setting new targets to slash greenhouse gas emissions would be “too ambitious” to solidify in this week’s round of climate talks in Bali, the UN chief said Wednesday. “Practically speaking, this will have to be negotiated down the road,” UN Secretary General Ban Ki-moon told reporters, when asked whether delegates could agree to including greenhouse gas emissions targets in a new climate accord.